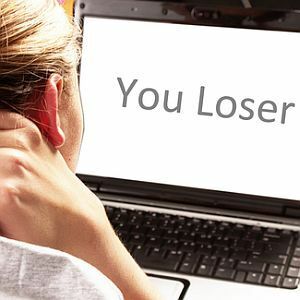 Have you been bullied online, or are you in the process of being picked on or otherwise harassed on the Internet? For most people, being called names, having embarrassing photos posted or having someone post very private and personal information on the Internet feels almost like a death sentence. It’s like the end of the world. After all, what gets posted on the Internet is “forever”, right? Well, that’s what a lot of cyberbully “gurus” tell kids about making online posts – that what you post online you can never take back. The thing is, that’s not entirely true. Other than very rare, high-profile cases where the situation brings in national attention and the story gets spread far and wide throughout the Internet, the odds are actually pretty good that whatever someone posted about you actually has a very small, insignificant audience when you look at the bigger picture. That’s where the problem comes from – it’s easy when you take part in an online community like a forum or a social network to start thinking that this online community you’re a part of makes up the larger world out there. I’m here to give you a small dose of reality – the world is a heck of a lot bigger than that, and whatever some moron posts about you isn’t really as bad as you may think. A cyberbully isn’t much unlike a bully at school. They act tough, they appear big and scary, but underneath it all they’re just a scared, little, whiny brat with a very fragile ego that happens to be the size of Jupiter. When such a person posts something about you on their blog or on a forum, it’s important to keep in mind that those bits and bytes are not forever. Yes, those posts hang around for years – but try finding many of those heated debates and arguments that were published in the old Internet message boards of the 1990s. Most are gone into the ether. Do you know why you can’t find most of them? Because people die, that’s why. Internet hosting isn’t free, and published pages are only published so long as there’s someone alive who cares enough to pay the yearly hosting fee. So, if you are patient enough, all things will eventually fall off the Internet. Obviously, if someone has published something that defames you or is clearly libellous, seeking a lawyer’s advice isn’t out of the question. However, for the typical cyberbully fare – insulting observations or snide remarks – it just isn’t around long enough to really have any impact on your life, so don’t let it. Secondly, on the Internet, information tends to get buried, especially on social networks. Yes, something posted that’s especially juicy might get briefly shared from friend to friend – but those rumors are fleeting and when the moment passes, there’s something different to occupy the restless minds of the masses. The bottom line is that social networks are like one big junk pile of words. Eventually, whatever nasty thing someone said about you will end up at the bottom of that pile, buried by all of the nasty things people have said about other people. Again – it’s not as bad as it seems, and it will go away in time. A third interesting aspect of nastiness and rumors on the Internet is that ultimately the more well-written and carefully crafted content on a certain topic will get more visibility. What I mean is, if someone has posted a quick jab at you or maybe they’ve even written some nasty blog entry about you, all you have to do is out-perform them in search engine rankings for your name, and what will people see when they look for you online? They’ll see what you’ve said – not what some idiot cyber-bully said. Trust me, I’ve got into my fair share of fights and debates online, and have had plenty of nasty things said about me. The thing is, if you produce enough content online about yourself, and mention your name enough in a positive light on those pages, you will get the right information about yourself out there. Too many people worry about having anything about themselves on the Internet, but if you think about it, the less you have about yourself online, the more visibility the words of a cyberbully will get. Your goal is to drown out the words of the bully with so much content and noise about yourself that those nasty statements will never see the light of day. And more importantly, the fourth thing that you should do is actually something you shouldn’t do – don’t ignore the bully. Don’t slink away in embarrassment and shame. Go after them with everything you’ve got. Whatever they say about you – give your side of the story. Better yet, a carefully crafted response can make the bully himself or herself look like a complete moron for how they handled themselves. Embarrass them and shame them for how poorly they handled themselves in public. If you can’t write well – then find someone who can and tell them what was wrong about what the person did. Have your friend craft a scathing response and then post it yourself. 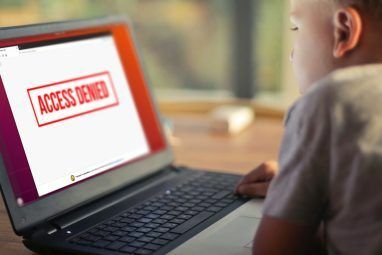 There is no reason you need to cower or run away when attacked online – a single response is all it takes to turn embarrassment for you into embarrassment for them. Finally, the most important thing to keep in mind when you’re being bullied badly online is that anyone actually reading the mean and nasty things a bully is saying about you are more likely to take your side than theirs. While many of the people reading online bullying might remain silent – out of fear of being bullied themselves – they sympathize with you, they feel for you, and they hate the bully. Trust me – everyone hates a bully. You may feel two inches tall, but you’ve got most people feeling bad for you, and most people looking at the cyberbully like she or he is an idiot. The world is on your side, not theirs. Everything else aside, that’s the one most important takeaway from all of this. Everyone is on your side, and you’re not alone. Cyberbullying can be some of the most hurtful, hateful things that a person – most often a teen – has to suffer through. But, in all honesty, while it may feel like the end of the world now – in just a few years you’ll look back and wonder how and why you ever let that moron even bother you. Have you ever been cyberbullied? How did you respond? What advice would you offer to teens suffering through different types of cyberbullying? Share your insight and experience in the comments sections below. Bulling has been around the entire time humans have existed. The fact of the matter is people need to learn to deal with it and grow up to have happy lives regardless of the situation others put you in. Cyber bulling is obviously more recent with the rise of computers and technology. The fact that there is such an issue with cyber bulling is astonishing to me personally. What is easier than having all the time in the world to give a well crafted response or just simply putting the phone down for awhile and not using social media all the time. I think cyber bullying is the easiest to avoid and the easiest for anyone to deal with. For some reason that's not the case. Most likely because people are not secure in their own mind and easily let others have a negative impact on them psychologically. On another note, I'm a college student, but when I was a sophomore in high school I got into a horrible bike accident that skinned half my face off, broke my nose, knocked a tooth out, and tore my gums and face up really bad. That was the worst year that I got bullied personally. I was in so much pain but still went back to school a week later only to have dozens of kids constantly make fun of how I looked. Common name I got called constantly was "two face". Ive been bullied numerous times in my life but never understood how it can affect certain kids to the point of suicide. Just always made me shrug a little and never made it to the inner core of my brain. I think this cyber bulling "bring it to the light" and "end bulling for good" is just completely unnecessary even though I was bullied as a kid. It's just unreasonable because it will always exist and kids will always inevitably bully each other, on social media or in person. Instead of focusing on stopping the bullying (which will never stop regardless) I think that they should set up more help programs for kids that cannot handle being bullied. If a kid is psychologically prepared to deal with a bully, it takes all the power away from the bully in every bulling situation. I think I've typed enough in this comment so I'm out. Jack, I think a good way to look at cyberbullying is as though you teased about your face not just in front of a few kids but in front of thousands, including kids from other schools and your own family. There is a much more dramatic humiation effect that takes place with cyberbullying. Hey. I was just researching a little about this big topic of cyberbullying. I'm a teen intern from http://www.radicalparenting.com and I htink if you read one of our articles, you'd enjoy it. It's about the new evidence on cyberbullies! here is the link, and enjoy! I cannot agree with any of these points. It may help some people, but not the majority, and here's why. Bullying isn't about the net result, but the process. It doesnt't matter if the post won't be seen by many people, or that it won't last forever. The only thing that matters is that you see it. Having a person, or worse a group of people, attack you day in, day out, without fail, it grinds away at you. I agree that ignoring them doesn't work, but, as another commenter pointed out, responding just feeds the trolls. That being said there are things that can be done. There are at least two organisations on the net that are combating cyber bullying, and every social network has content reporting. People need to be educated about these. Another thing that needs to happen is to teach equality. Not just as part of policy, but really engage people. This not only makes bullies more aware if the effects if their actions, but may prevent their need to bully. Most bully because they feel inadequate, so a more accepting environment can help them too. Thanks Scutterman - great comment and good points. 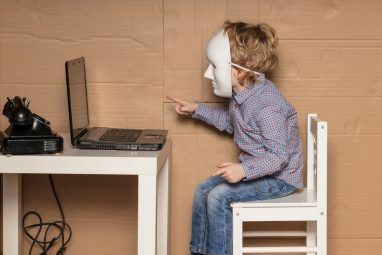 I think you're right - turning to organizations that are combating cyber-bullying is not only good for the reasons you describe - educating the general public as well as bullies themselves, but it can also give those that are bullied an important point of contact where there are people ready and waiting to help. Remember, The Internet lasts forever. Archives are made daily. The best way to get over it, is to forget about it. Before there are any replies of the "OMG Cyberbullying causes suicide" sort, remember this: Cyberbullying doesn't kill people; it's their reaction that does. I think it would be important to note that many bulling individuals love the attention you give them. There is a popular anecdote along the lines of, "Don't feel the trolls." The more upset you seem, the more entertained they are. Some honestly don't even care the people their harass in the slightest. They torment people for "the lulz" as the kids say these days. I would really recommend to just ignore them. You don't want them in your life, why keep going at it if they are just stressful? It would be good to mention that a couple billion people have access to the internet, and you should focus your time finding good new peers with similar interests rather than just giving more attention to a bully. Also, I thought cyber bullying was a thing mostly for teens and kids. Do you know what demographics this site attracts. I'm curious. Thanks Elijah - great points...feeding the trolls is definitely counter-productive. As far as demographics - I'm certain teenagers are interested in computers and technology...don't you think? People that have committed suicide or had their lives utterly ruined by the emotional suffering they've undergone from Cyberbullies. Your trite platitudes in this post are a joke. There's nothing trite about it. My goal here was and is to help those that feel overwhelmed by bullies to take a step back and understand that everything is going to be okay. You may call those statements platitudes, but I've been bullied before buddy, and let me tell you it would have been nice to have someone care enough to soothe my nerves and tell me that, in the big picture of life, it's not the end of the world. The best thing about this post is that it gives the victim something to DO, hopefully avoiding the feeling of helplessness that leads to kids taking extreme measures. Unfortunately, all too often there isn't anyone in the bully-ee's life who can "soothe the nerves." This happens a lot with LGBT individuals, especially teens, for whom there isn't acceptance in the home and none either in the outside world. This being an election year, it appalls me and frightens me that there are people making public policy decisions that do amount to nationwide discrimination, bullying, and even downright abuse. The last thing people need is to be told they're worthless at home, further at work or school, and then not even treated as equals under the idiotic puritanical laws of this country.